I got into a discussion recently when someone highlighted that an Yishun flat is still rented out for 7.8% yield and have helped another landlord secured an 18% rental yield. That looks amazing until you realize that the yield is based on historical purchase price. My landlord only want to see how much return they get based on the amount they spent, not on how much others spent. Just like buying stock, we don’t track how much others bought the stock but how much we bought our stock and how much profit we made after selling. Fair enough. But I felt that the more we are stuck in this mind set in our evaluation, the more handicap we become. Our problem have always been we look very much at our cost of purchase, and get blindsided by the astronomical good yield we are getting. My purchase price on a 4 Room flat in 1980 is $45k and if i rent it out today I get $26k rental yield per year. My yield is 58% per year. My purchase price on Starhub shares is $1.80 and based on last dividend per share of $0.20 the dividend yield is 11% per year. It’s a good feeling to know that we made good sound decisions in the past. Certainly these examples show astute investment evaluation. However, if we are to evaluate the decision to rebalance, to switch over to another property, investment assets, we can’t really be basing it on historical stuff all the time. We need to overcome and have a fundamental sound way to evaluate without cognitive flaws. The high level concept I look at switching or sell decisions, or for the matter a comparison of which is better, are usually made up of evaluating each stock, bond, property, business as a black box. Future Cash Flow: The nature of the cash flow going forward. Is it lumpy over time, or is it recurring. Is it going to increase gradually or we are looking for a fast 3 to 5 year astronomical growth spurt. I try to have a good confidence in the cash flow and its about the forward cash flow. Why look at the historical cash flow? An example is SMRT where in the past they are a different operator with capital expenditure considerations going forward in their lean model. Their cash flow profile may shift. Do we worry about the cash flow in the past? I don’t think so. We care more of the cash flow going forward. Another example is that if you are very lucky to rent out your flat at 50% above market rate and everyone tells you that it will not be revisited, are you going to evaluate going forward with that lucky inflated rent or a more sensible rent? Valuation: 1,2 and 3 gives you a good idea about whether you got a good black box on your hand. Valuation is aggregating them and finding out how much you would pay for this black box. You don’t want to overpay for a mediocre black box, you may be ok to overpay a little for an extremely good and rare one. The iPhone is a great product and perhaps checks 2 and 3 (1 is not a consideration in this example) but if the market everyone is trying to sell you at $5000 would you buy it? No matter how good something is, some prices are just not right. What if I offer to sell you at $20 for the latest iPhone 6S? Upfront and Maintenance Effort: This is more pertaining to how much effort you need to carry out 1,2,3 and 4 at the initial point and how much you need to maintain these 4 factors over time. This is more so for an evaluation of investment assets such as a business versus a property versus a portfolio of bonds and stocks management by a fund manager, rather than individual stocks evaluation. Some things are just so complex that its not worth the effort at all while some are still manageable. This black box concept is my mental checklist or physical one to compare where I should put my money. Suppose that John and Mary have a fully paid up 5 room flat. and they are making some decisions. They can move back with their aged parents and stay with them. Their parents flat still have 60 years of lease so that should be enough for them to stay even if they retire at 65 years old. They purchase their flat for $250,000 10 years ago and currently valued at $450,000. If they rent out their place for $2300 per month, after property taxes, maintenance costs, conservancy charges, income tax increase they can probably have $1700 per month in cash flow or $20,400 per year. Based on their purchase price of $250,000 the cash on cash yield is 8.16%. Rental yield grows over time, perhaps at 4% per annum. A total return here of 12.16% looks splendid. Suppose John and Mary are looking for alternatives should they compare the rate of return of prospective investments against this 12.16%? John and Mary can sell the flat and after all costs they will get $436,500 in cash. The alternative of renting out their flat is to keep it in cash, or put it in a business, or put it in a few stocks. They will get $436,500 not the $250,000 they pay for it, and as such, any investment should be compared against the rate of return of the $450,000 asset (if they don’t sell it they don’t incur selling costs so hence we use $450k). Based on a net rental income of $20,400 of the same flat, the net rental yield is $20,400/$450,000 = 4.5%. As the property growth rate is the same at 4%, the total return looks to be 8.5% per annum. Recently, Me and My Money profiled a remisier who sold his EC and put it in REITs. I find that not many dare to do what he does. but he said that he have already done extensive research. The businesses listed on the stock exchanges provide some long term return. Many pay a good dividend yield and you can look at a list of these businesses and their dividend yield and value on my Dividend Stock Tracker here. An equal 33% weighting for each would result in an average dividend yield of 5.9% and a long term growth rate of 3.3%. The total return is estimated to be 9.2%. Competency: How much real estate competency John and Mary have build up or can build up to make them well inform and capable to invest in a portfolio of real estate investment trust, to evaluate trust manager’s management performance. Upfront and Maintenance Effort: As investors, John and Mary would have their income deposited automatically to their bank account compared to having to chase for a tenant’s rent. The would also need less hands on effort to interview new tenants when rent expires in 1 years time. They would have to do quarterly review of the various real estate trust performances to sell or switch when the trust is no long a good investment asset. 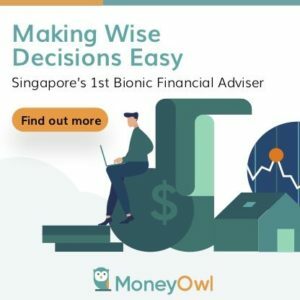 Weighing the pros and cons in a systematic manner, taking into consideration qualitative factors may result in switching out of a HDB being a wiser move. The important thing here is that had John and Mary have a mental block that they are comparing a 12.16% HDB flat return instead of the 8.5% return, they would come to a conclusion where all the other investment asset cannot be as good as the HDB flat itself. Another common question ask is whether to sell a stock to switch to cash or another stock. In this case, the decision model are largely the same: At this point moving forward, which box is a better investment asset? Suppose it is the case of Starhub. A review of my portfolio will show that at an average cost of $2.75, my dividend yield on cost is 7.27%. Starhub is a rock solid dividend stock and most have the idea that this should be a pillow stock that we should never sell, and that it is only worth it to get it when price are low. Due to that, many Starhub shareholders would be reinforced to not evaluate the selling proposition. If we use the same comparison model as that of the HDB flat, we will see that the current dividend yield of Starhub is 4.67% and the dividend growth has stagnate for the past 3 to 4 years. Realistically you can switch out of Starhub into Silverlake Axis, Kingsmen Creatives or China Merchant Pacific. Their respective dividend yield is around 4%, 4%, 7% versus 4.67% for Starhub if you sell now. And it is likely they present a different capital growth profile. Again, if the evaluation is done against a dividend return at cost of 7.27% versus the prevailing dividend return of 4.67%, the result would be very different. While our comparison are usually centring on total returns, it must be stress that the returns are just part of the evaluation. The stock comparison example highlights the difficulty in comparing each businesses because they are like comparing apples to oranges to pears. This model of mine acts as a checklist that I use and your model would be a bit different. I could have come out with a more complex model but that would be too confusing and too low level. In the case of the recent scams highlighted in the papers, the total return looks really good but this box model of mine will have told me perhaps I am lacking in competency to evaluate them well and there are much unknown risks that I am incompetent to evaluate. While the HDB flat might prove over time to be an investment that still wins out other investment assets, I hope that folks give it a fairer evaluation. The future will become our past when we look farther from the future. Most of us as retail investors who started not too late may have 1 to 3 chances once in our lifetime opportunities to make real impact to our investment return over long run. This is something either younger investors find out themselves when they are older or understand it from the veterans who have celebrated or regretted. Its about making less mistakes and even today as a sharing of mental model there are flaws in the model. We just have to keep treating it as a lesson and learn from it. I think one of the best things about property investments is the ability to leverage. I note that you used a fully paid up property as a starting point. I believe that if you used a leveraged property, the return on equity might be in excess of what is discussed. Every upside comes with a downside. What if the property market goes down for the forseeable future like it is presently? Your leverage can cost you dearly. Were you referring to the home loan, if that is so yes the home will have an impact on your wealth. Hence why there are folks that cannot stand leverage. Not only. Let’s imagine you bought a property in SG in 2012, hoping to rent it with a resonable yield based on that year’s prices. As the property market softened both for the buying and renting of properties, some are starting to feel the bite of their 2012 assumptions – eg, the rise in re-possessed homes hitting the market in recent months. Leveraging is great boon in good years, and a bane in bad ones. Many US or Spanish home-owner came to realise how leveraging aggressively can be a two-edged sword in recent years for example. Jacques I think the climate I’d still very conducive for renting hence we seldom see the problem. I tend to think while renting and property prices don’t move in tandem they can’t be that far off in relation. I think dowz brought up the point of cash out refinancing and if u ask me doing that wrongly can be outright risky . Jacques u have prior experience with friends caught in bad property issues ? Yes. A few friend of mine lost a lot of $$ in the US and Spanish property markets. One had to write off 300K USD and declare bankruptcy because of investments in a couple of Miami condos. hi dowz, i get what Jacques talked about when it comes to domestic properties. it seems many dun think margin call will happen in Singapore. person debt is a big issue. but the way to look at leverage is that you are still effectively renting from the bank to live in it, but have a call option to sell it at a higher price at a specific time. when times are bad your rent may not cover the mortgage and that the call option will exprie worthless or take a long time to be in the money again. most of the returns will be lower than the 8.5% if its a condo because your rental will more or less break even with the mortgage payment which means your cash on cash return is rather low. you are relying on the capital appreciation which likely means the 4%, unless you sell it off at the right time. I was about to write that this article seemed to be stating the obvious (although probably not to everyone). Framing the loan as renting from the bank w/ a call option appears as a really interesting. You have to maintain a certain equity though, so it becomes a bit more complicated. I was trying to frame it as being short a put, but it’s not like that either. I am not implying its a pillow stock. I am stating most think its a pillow stock. In any case it is just one example and we shouldn’t detract from the main discussion. My opinion is that Google will not have an impact on this part of the world.